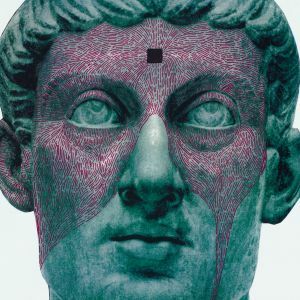 On their latest LP, The Agent Intellect, Detroit’s Protomartyr offer up more kinetic post-punk. With a strong live performance rep, the quartet (Greg Ahee, Alex Leonard, Scott Davidson, and Joe Casey) conjure up a fierce sound that comes out of the 80’s American underground ether, pitched somewhere between 154-era Wire and Portland’s mighty Wipers. Back in the day, you would have seen this band on Frontier Records or Touch and Go. Today, in the ashes of the industry, the baton has been passed to Seattle-based Hardly Art. Opening with the double shot of “The Devil In His Youth” and “Cowards Starve,” the band delineates both what is at stake, and the energy level at which they’ll proceed. While the prospect of following up last year’s Under Cover Of Official Right would seem a daunting task to most, Protomartyr pulls it off with aplomb, going from strength with “Dope Cloud” and the titanic “Why Does It Shake.” Hidden in the middle of the album, the creepy intensity of “Pontiac 87” is the track that keeps coming back to haunt. With The Agent Intellect, Protomartyr has confirmed itself as one of the country’s most vital bands.